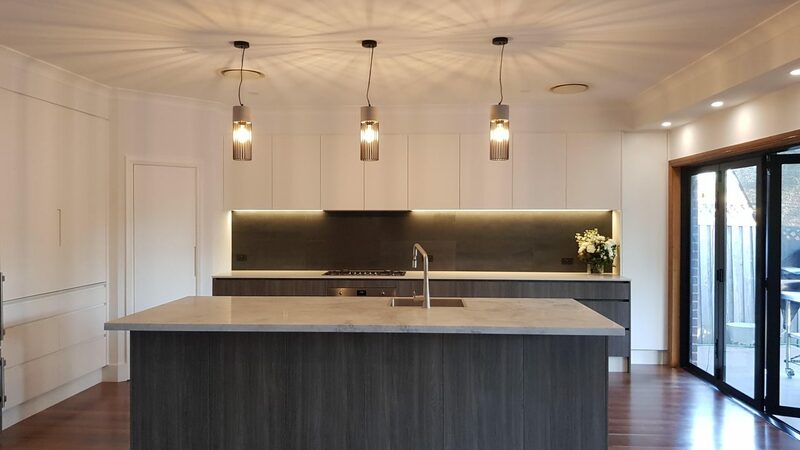 A warm, cosy kitchen design using three Mercator Wendy pendants with warm white bulbs as well as warm white LED strip to illuminate the kitchen counter and kick panel. 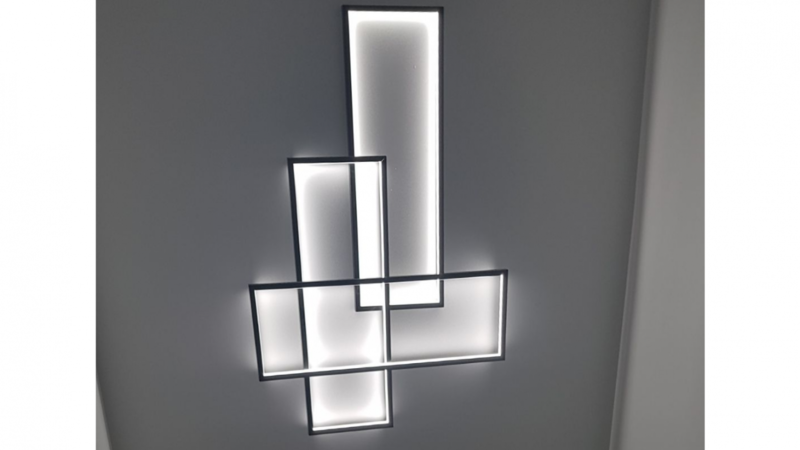 A metal wall sculpture illuminated internally with cool white LED strip mounted inside the frame. The firmness of the metal coupled with the sterile colour imagery invoke terrifyingly rigid sensations.